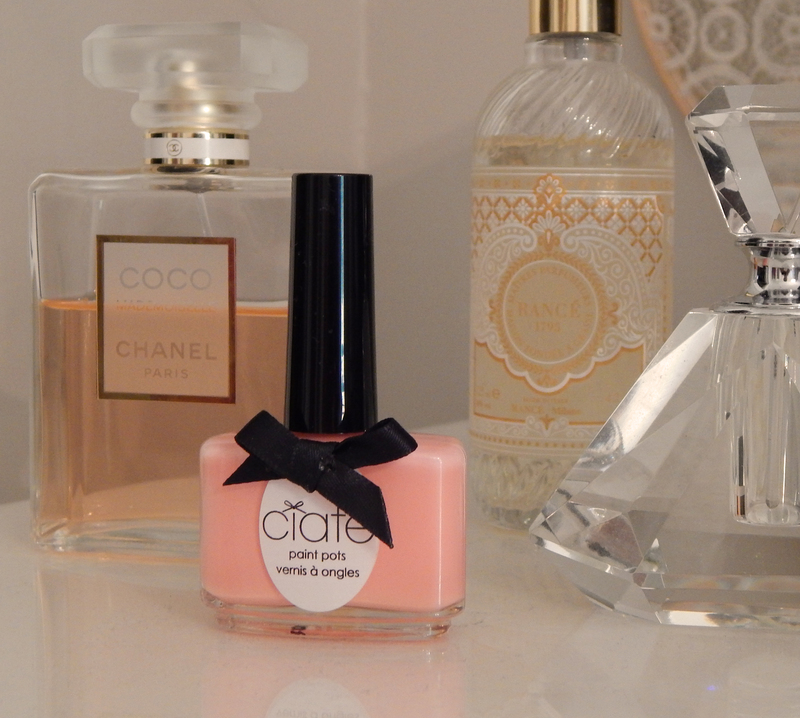 Fresh picks: soap, nail polish and jewelry ! Mouth-watering peaches, incredible outdoor concerts, and long weekends are very refreshing. For the first time I shopped at Bath & Bodyworks, I discovered Kate Spade jewelry at the Bay, and found a great new nail polish. I signed up for a Bay card and I have to say the 20% off was a nice bonus. Here are a few things I treated myself to that I wouldn’t typically purchase, but since it’s my birthday this week…why not ! 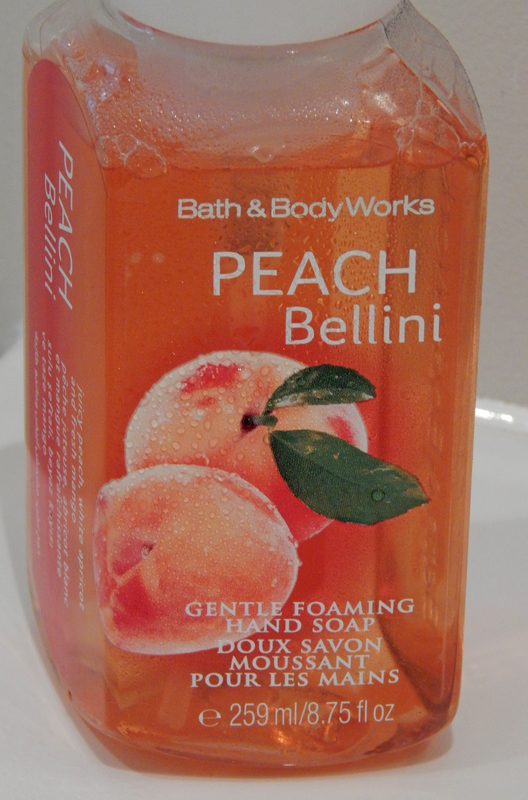 This Peach Bellini hand soap by Bath & Bodyworks smells like candy ! This hoopla nail polish by ciaté is so lovely. This skinny mini necklace by Kate Spade (at the Bay) will look great with that pink blazer I have my eye on. 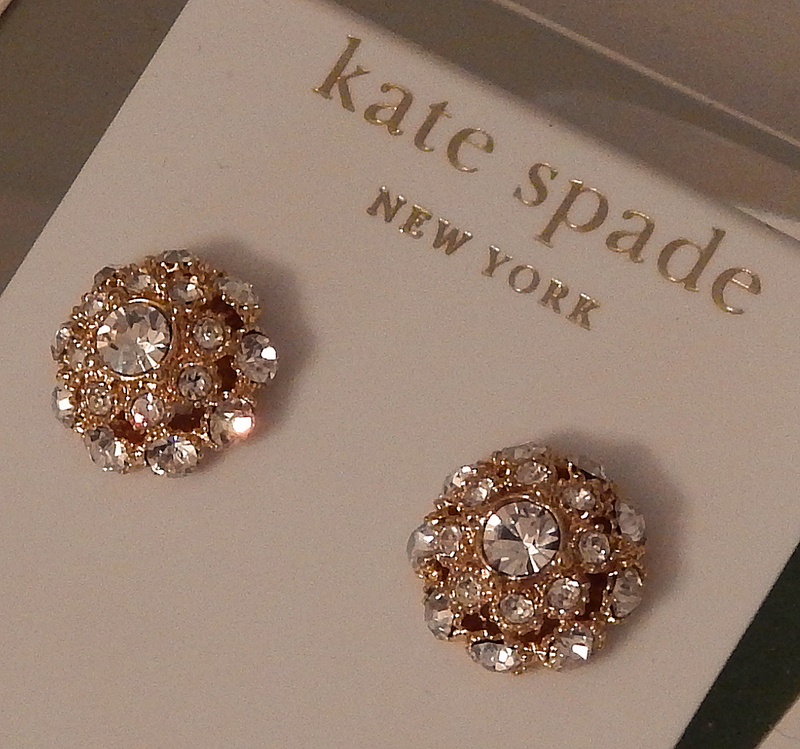 These 14 k gold fill earrings by Kate Spade (at the Bay) will add a little sparkle. 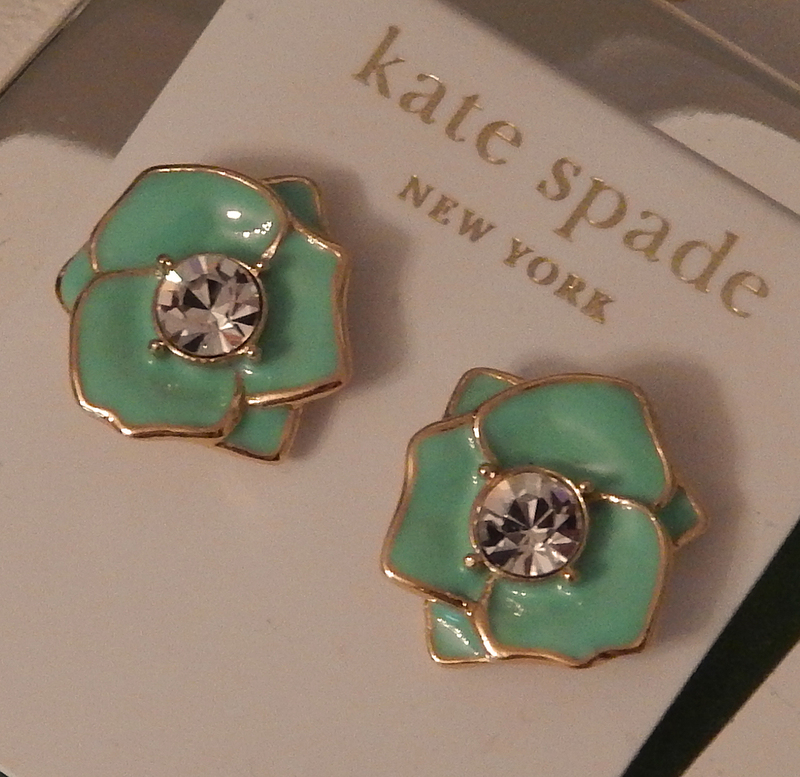 These 14 k gold fill earrings also by Kate Spade will add a pop of color when I need a pick me up this fall and winter. I hope you had a great Labour Day Weekend ! I love Kate Spade. Those earrings are beautiful. The sparkly gold ones are perfect for the holidays & the mint ones are super cute as well. Mint seems to be a very popular color these days. Bows are my favorite, so I’m basically in love with the necklace. Thank you for the B-Day wishes! How lovely! Yes, I am thouroughly enjoying the return to delicate more feminine jewelry with lots of sparkle and easter colors! I love mint & peach right now!